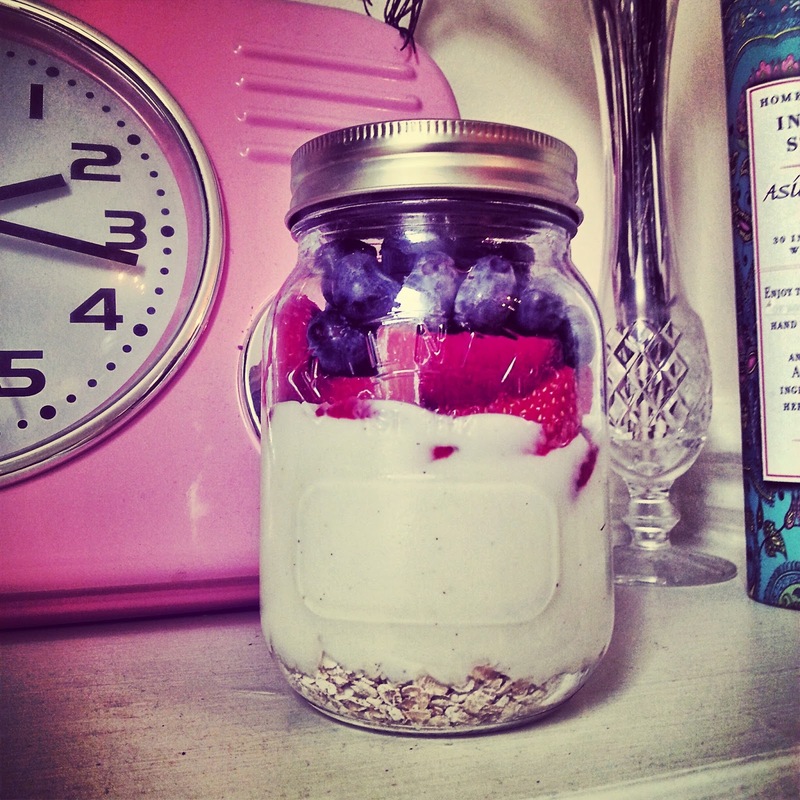 I am absolutely in love with this 'Overnight Oats' thing at the moment! * 1 handful of plain porridge oats. * Slices of any fresh or frozen fruit. I used fresh strawberries and blueberries today but I like to use frozen strawberries and raspberries because they defrost overnight and the oats soak up the juice! I like to make mine in a Kilner jar because a) I like being able to see the layers! and b) It's so easy to just pick up and take it away with me if I'm going on a long journey, on a picnic or staying at a friend's house etc! Portable Porrige! However a bowl with some clingfilm over it is just fine. I take my handful of oats, layer the yoghurt on top and then I try to fill the rest of the jar up with as much fruit as possible. I used frozen summer fruits once but it's quite bitter so do choose some fruit you really like! Some work better than others I think. Leave it in the fridge overnight and have it in the morning as a filling breakfast or snack on it throughout the day. I think you can probably stir it and pop it in the microwave too! I love it. Absolute life-saver!